Wouldn’t you like to spruce up the appearance of your yard and garden? There are numerous ways to achieve this goal, but some methods are far more dramatic than others. By installing a pond or fountain in your yard, you’ll be able to ensure that your house is the biggest attraction in the neighborhood. You’ve gain tons of attention and plenty of compliments from your neighbors and relatives. Before you can set up a pond on your yard, you’ll need one of the best pond pumps. Below, you’ll discover tips that can help you pinpoint the overall best pond pump for your unique needs. Before doing anything, it is essential to sit down and figure out how many gallons of water your pond will contain. It is possible to have a pond of any size you like. However, it is vital to make sure that your pump is powerful enough to support your pond’s capacity. If you choose a pump that isn’t powerful enough, you’ll experience poor circulation and the water may not flow freely enough. Measure the length, width and average depth of your pond. Multiply the outcome by 7.5. This will give a good estimate of the amount of water in your pond. Another important thing to take into consideration is the pump’s energy consumption. There is no doubt that some pumps will utilize far more electricity than others. There is a good chance that your pump will be running all day and potentially even all night. This can greatly increase your energy bill, if you’re not careful. With that being said, you should be aware of your pump’s energy usage. If you want something a little less expensive, you may want to switch over to a solar powered pump. It should be known that there are numerous types of pond pumps. There are direct drive pumps, hybrid pumps and magnetic drive pumps. Each will prove to be great, but they’re all unique in one way or another. For instance, magnetic pumps tend to be very energy efficient. Unfortunately, they’re not great at lifting higher than four or five feet. Direct drive alternatives are better in this category. However, there is a good chance that you’ll pay more for energy with the direct drive pump. The hybrid models are right in the middle of the chart. They’re moderately energy efficient and they can lift moderately well. If you’re new to this type of technology, you’ll be better off with a hybrid model. There is no doubt that every pump on the market can become clogged at some point. Thankfully, manufacturers have gone to great lengths to ensure that their pumps are more clog resistant than ever before. It is in your best interest to choose a pump with maximum clog resistance. This will make your life easier in the long run, by ensuring you do not have to manually unclog the pump every other day. Finally, it is essential to look at the warranties for the best pond pumps on the market. Should anything go wrong, you’ll want to make sure that the manufacturer will fix the problem at no additional charge. With a warranty, you can rest assured knowing that the company will repair or replace the unit for free. Do your best to get the longest warranty possible! The Pondpush 17000 Garden Pond Pump is ideal for pushing contaminated water through filters. The pump is capable of handling solids up to six millimeters. To ensure longevity, Pondpush integrated its 17000 with a Eco Technology asynchronous motor that only requires 220 watts to operate. The Pondpush 17000 is extremely durable. In fact, it will operate efficiently throughout the summer and winter seasons. This prevents the need to disconnect the pump or remove it before the winter season sets in. As long as the pump is submersed in a decent depth of water, it will not freeze up. To give consumers peace of mind, Pondpush includes a 12-year warranty with its 17000 Pond Pump. If at any time the pump malfunctions, just contact the company’s customer service department. A representative will find a solution right over the phone. You may need to return the pump back to the company for repairs, but this is common with most products. If the pump cannot be repaired, you will receive a full replacement for absolutely free. The Pondpush 17000 Garden Pump is durable and works as expected. 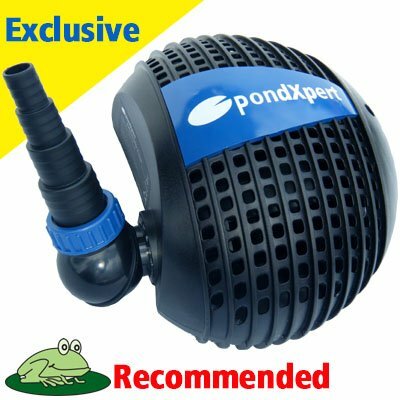 The pump is suitable for small- to medium-sized ponds and will work all year long, as long as it remains submersed in water. For the price, you cannot beat the 17000, plus it comes with a 1-year manufacturer’s warranty. You really don’t have to be a pond enthusiast to appreciate everything that the Oase Aquamax Eco Classic 3500 Pond Pump has to offer. Whether you are just building your first pond or you have built several ponds in the past, you really can’t go wrong with this amazing product. Thanks to the energy efficient motor users can save up to 25% on electrical costs, while still receiving the power and efficiency that you are used to. When you invest your hard-earned money in a pond pump you always want to rest assured that you are getting your money’s worth. When it comes to the Oase Aquamax Eco Classic 3500 Pond Pump you get a five-year guarantee that ensures that you are most certainly getting your money’s worth. Within the first five years of owning the product if you experience any problems or technical difficulties all you have to do is contact the manufacture and they will rectify the issue as soon as possible. If you are familiar with pond pumps you already know that routine maintenance is an absolute must. Well, the manufacturers of the 3500 pump have really made this process easy. Thanks to the easy to open front cover you can have quick and easy access to the integral parts of the pump. Whether you need to add oil or just perform a simply cleaning the process is now easier than ever. When you combine all of this with the economical and reliability of this pump, you are truly looking at one of the best pond pumps available on the market. With the Oase Aquamax Eco Classic 3500 Pond Pump it doesn’t matter if you are a first-time pond builder or you are an expert. This pump is easy to install and the maintenance is even easier. If you are looking for a pond pump that is capable of running 24 hours, 365 days a year, you need to invest in the Bermuda Filter Force 4500 Water Pump BER0615. Not only can you run this pump around the clock, but also at 35 watts of power consumption you can actually do it at an affordable rate. With that being said, this is not the only thing that this amazing product has to offer. Whether you are looking to power a filter or you want to create a stunning waterfall it is possible that you might require different adapters. Sometimes this might require an extra trip to the hardware store or the pond shop, but that is not the case when you invest in the 4500 water pump. In fact, this pump comes along with a stepped adapter, so that it can be easily and quickly connected to a variety of different applications. Some people like small ponds, while others like larger ponds. Whatever your preference is, it won’t really matter when you invest in this water pump. With capabilities of pumping 4500 liters per hour, you can literally use this product in a large or small pond. Why buy a pump that is specific for your needs when you can buy one that can be used for any application? In the event that you want to upgrade in the future you won’t even need to go out and buy a new pump. If you need a pump with a rugged and reliable design, look no further than the Bermuda Filter Force 4500 Water Pump BER0615. With capabilities of running around the clock and the power to handle larger or smaller ponds this water pump is ideal for any pond builder or pond owner. There are many amazing pond pumps on the market, but few can compete with the Blagdon Minipond Pump 700. 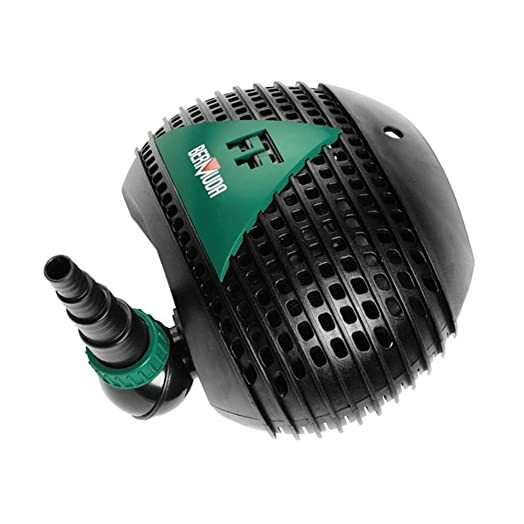 This pond pump is surprisingly affordable, yet it will deliver a big performance. It is available in various models to ensure that the user gets the precise power that is needed. On top of that, the pump is protected by a length warranty to ensure that everyone gets their money’s worth. Additional details will be provided below. This pump might be affordable, but it comes with an amazing warranty. In total, this pump is protected for a duration of 3 years. If anything goes wrong during this period of time, you can rest assured knowing that the company will fix the problem for free! Plus, this pump requires less cleaning. The foam free pre-filter cage will ultimately make your life much easier. 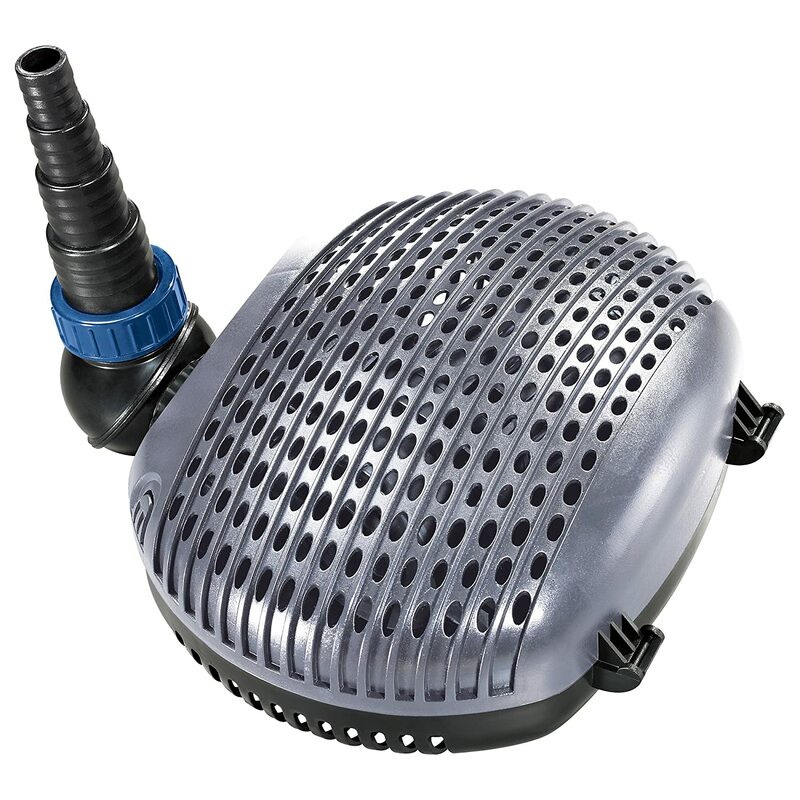 The Blagdon Minipond Pump 700 is ideal for small ponds and fountains. It works very effectively in pushing debris to the filter, but has difficulty when the elements in the pond are disturbed. The extra-long electric cable and additional attachments are a blessing. Those looking for a totally submersible water pump will definitely want to check out the XTP-5000 from Jebao. While this pump is moderately affordable, it will still deliver a surprisingly good performance. It is capable of pumping roughly 5,000L of water each hour. Despite its powerful performance, it will only consume a small amount of energy. Therefore, the pump is a good investment for environmentally friendly individuals. Whether you want to save money or protect the environment, this pump will prove to be a great choice for you. It is also nice to have a pump that will fit into almost all locations. The Jebao XTP-5000 Pump measures in at 306mm by 265mm by 127mm. Even if you have a very small pond, there is a good chance that this pump will work. Just remember that it is surprisingly powerful, despite its compact size. With the Jebao XTP-5000, you can rest assured knowing that this pump will last for a long period of time. This is the case, because it is equipped with a thermal resettable fuse. This means that the unit will automatically turn off, if it becomes overheated. This can help protect the motor and prevent it from burning out. Overall, The Jebao XTP-5000 Submersible Pump is good, but it does have a few minor flaws. Nevertheless, most consumers will be totally satisfied with this pump. If you want a powerful pump at an affordable price, this one is definitely worth checking out.